Hair loss (baldness) causes great concern in men, in women. At any age, people want to have healthy, beautiful hair. I will not dwell on the causes of baldness — they are different. I will give recommendations how the ancient Russian healers advised to strengthen hair at home by means of folk remedies. Hair loss cure. Hair loss — how to strengthen hair at home. The implementation of these procedures helped to strengthen the head of hear, many rescued from baldness (as the healers said). Place the roots of the thistle in the saucepan, pour it over the water (so that the water hardly covers), put it in the oven. Boil until they are softened completely. After cooling, strain. With this broth moisten the hair roots every day. When this folk remedy is used, dandruff will quickly disappear, the hair will cease to fall out and hair will grow faster. 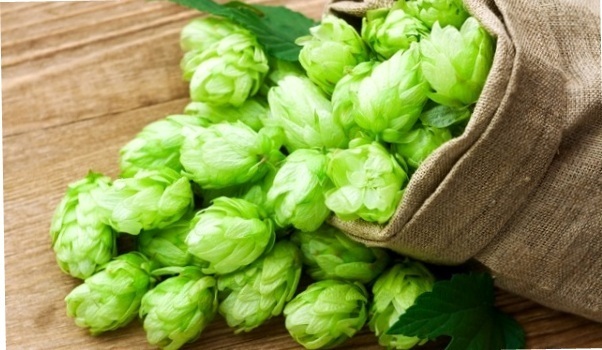 To strengthen the roots (assuming that baldness is only beginning), use a decoction of hop cones. Boil a glass of water, pour a tablespoon of cones and boil for half an hour. When it cools down, wipe the head with a decoction while massaging. If hair falls out, then after washing your head, rub the infusion of nettle. A tablespoon of dry nettle fill in the st. Boiling water, let it steep for 1 hour, strain. Procedure should be done 1 to 2 times a week. To 250 grams of beef bone marrow add a little water and boil, strain. Add a teaspoon of alcohol and mix. Lubricate the head with burdock oil and rinse well, then rinse with tar soap, massage again and rub the prepared product into the scalp. Put the towel in hot water, wring out and tie the head. When it cools down, wet another towel in hot water and change. So change 5 times. Then tie your head with a warm kerchief and leave it all night. In the morning, rinse your head well and wash it in an hour. Do this once a month. Knowing how to perform procedures that prevent hair loss, you can (if desired) to strengthen your hair with simple folk remedies in the usual home conditions. Yes, it’s a little troublesome, but beautiful hair is worth a lot of trouble! Метки: hair growth, hair loss cure, hair loss treatment, hair loss treatment for men, Hair loss.